A data logger is an electronic device or instrument that records data over a period of time. It allows the user to record time or location stamped data which can be viewed at a later time or real time. Irrespective of the type of data being logged or the kind of data logger, these devices usually contain two main units, the sensor unit and the storage/communication unit. The sensor unit may involve the use of an external instrument or a sensor embedded within the device. Increasingly, but not entirely, data logging devices are becoming more based on micro processors and microcontrollers, which has opened up a whole new level of data gathering and storage. 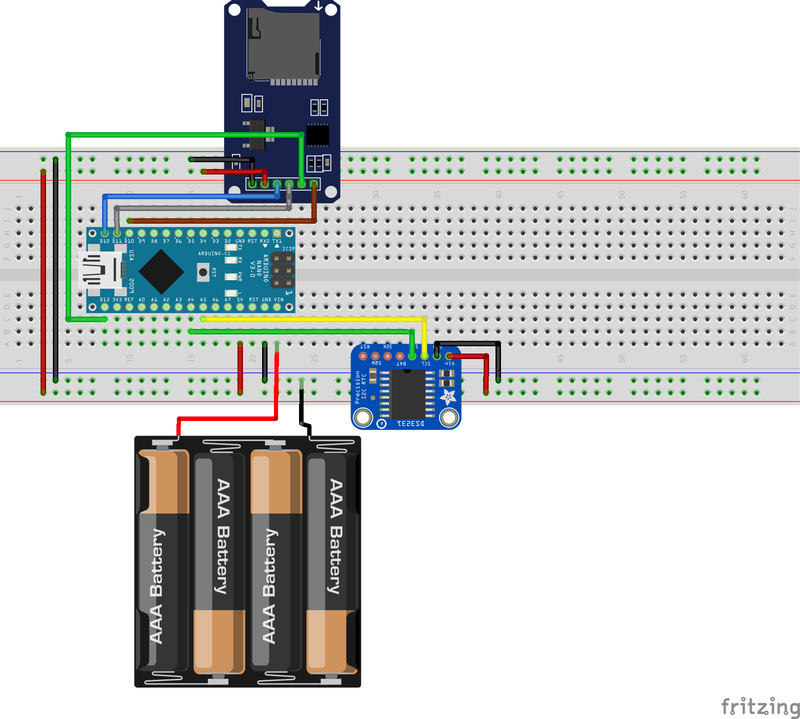 For today’s tutorial, our focus will be on building an Arduino based data logger that reads the temperature of the environment every few minutes and saves the data in a micro sd card. 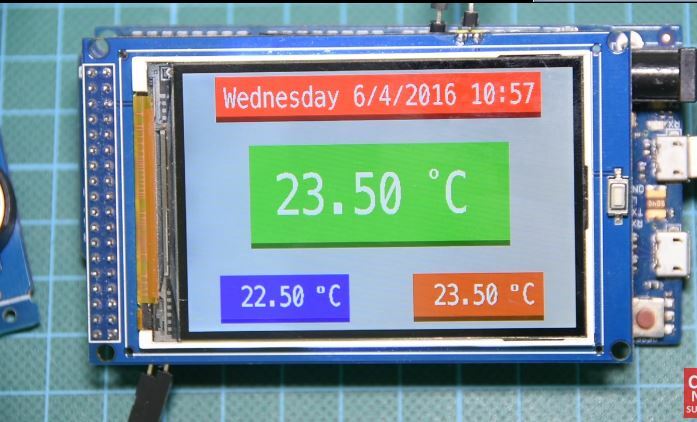 The Project is based on the Arduino nano and the DS3231 RTC Module which has a temperature sensor and a real time clock on board. Connect the components as shown in the circuit diagram below. 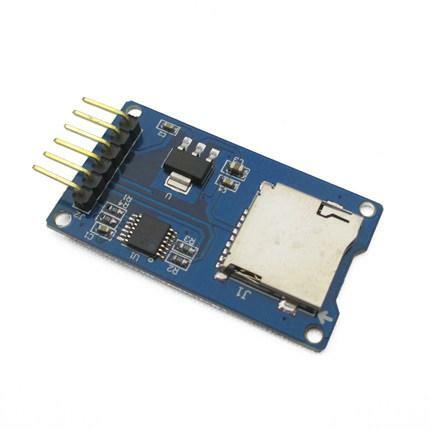 The data logger is made up of the Arduino Nano, the Ds3231 RTC Module, and a micro SD card module. 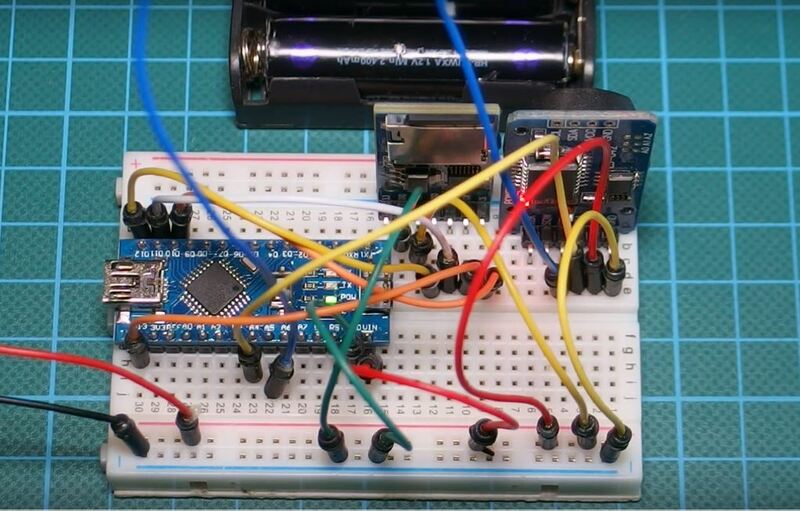 The micro SD card module communicates with the Arduino over SPI as explained in a detailed tutorial here, while the DS3231 module communicates with the Arduino over I2C. 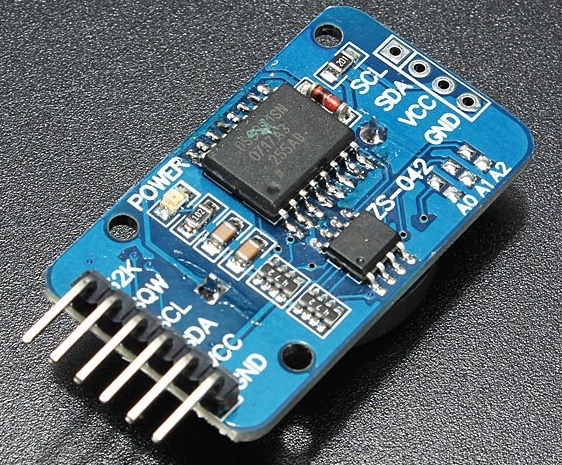 A detailed tutorial on the DS3231 module can also be found here. To simplify the connection further, a pin map of the connections in the schematics is done below. With the connections all done, we can then move to write the code for this project. To better understand this project, it is advised that you take a look at two of our previous projects that talked about DS3231 RTC module, and the Micro SD card module. To jump into writing the code, its important before proceeding to totally understand what you want it to do. For this project we will measure temperature, and storing the data alongside the time at which it was read, delimited by comma, in a text file on a SD card. The goal will be to remove the card after a while and insert it into a computer, to import the data into Microsoft’s Excel software to plot and perform other analysis on the data. As usual, the first thing we do in our code is to include the libraries that will be used. For this project, we will be using the rtc_ds3231 library attached in the zip file which is available in the download section of this post, the wire.h library, the SD.h library, and the SPI.h library. Next, we declare our variables. The first variable is the maximum buffer size BUFF_MAX 128 after which, we declare the pin to which is the Chipselect pin of our sd card module connected to the Arduino, which is D10. We next create an object file, then declare the variable to store temperature, time, and date, followed by an integer to serves as ID for the entries. Still on declaration, we declare an array to hold time, and set the amount of milliseconds the device has to wait before logging the next data. This could help preserve the battery life of the device in the long run asides other things. We then move to the setup function. We start by starting serial communication and enabling wire, after which we move to initialize the SD card module followed by the DS3231 module. Do note the quotes are not included, it was just used for explanation. After running this code for the first time, it should be commented out before uploading to deploy the system. With the Void Setup out of the way, we now move to the void loop() function. The void loop function majorly contains commands to get the temperature and date and save it on the sd card. Other functions in the code are functions that were called within the void loop. The full code for the project is given below. 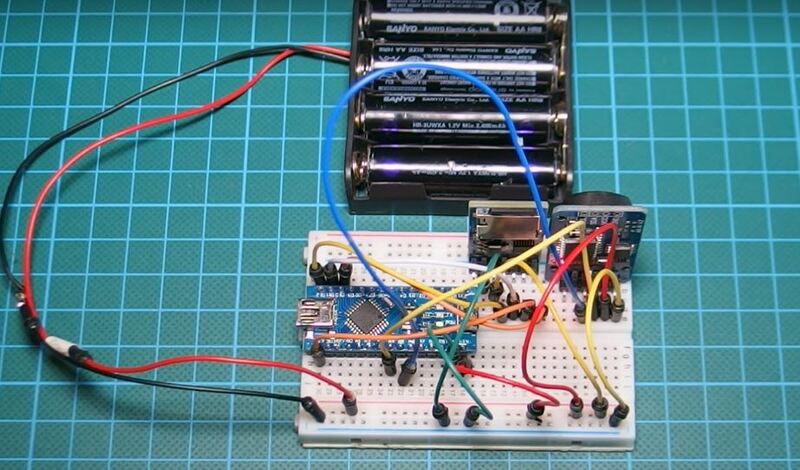 Copy the code above and paste in your arduino, ensure you have the libraries and hit upload. Don’t forget to set the time when you run the code for the first time. If you follow the steps carefully, wait for few minutes then remove your sd card. 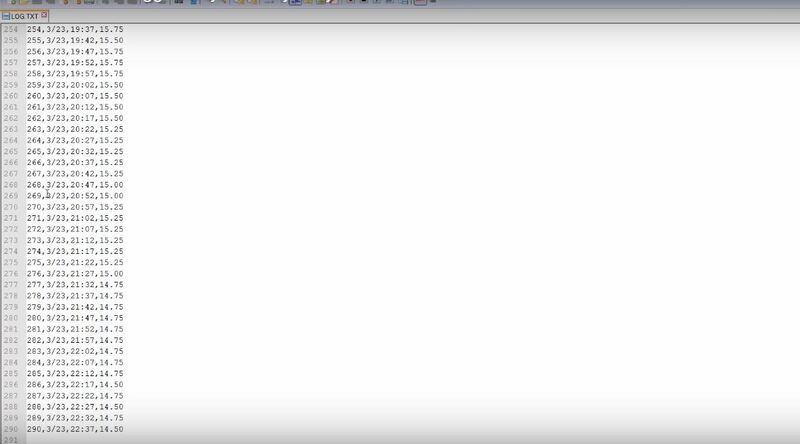 If you did everything correctly, you should see something like the image below on your computer screen when the SD card opens. The amount of data stored would depend on the amount of up-time the logger had before you removed the sd card. For example, for this project, we left the device running for a day, logging data every 5-minutes and at the end of the 24 hours, we had logged over 300 data(image below). 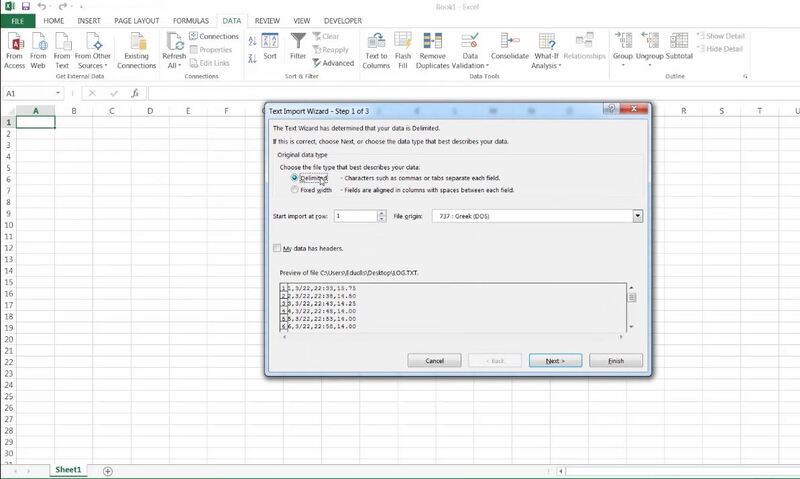 Excel makes it super easy to plot your data and do analysis. 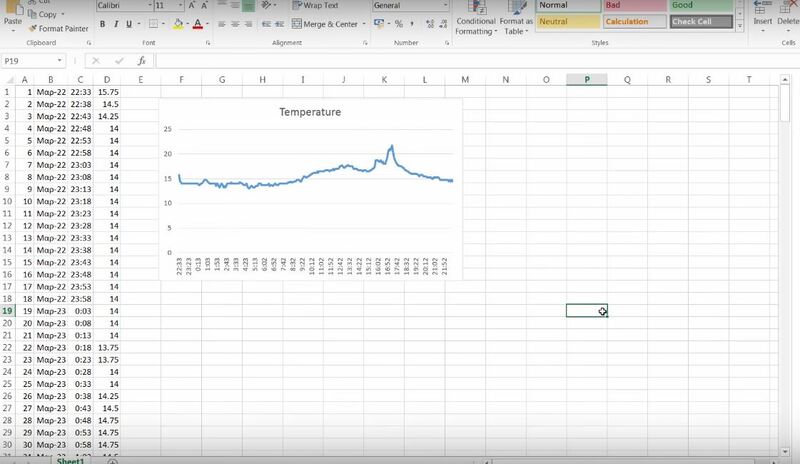 To generate a plot of the temperature against time for this project, open a new excel spread sheet, select data at the top, select from text, and navigate to the file on the SD card, and click OK, excel will prompt you to ask for details about the file, select delimited, then select by commas, after which excel will automatically import the data into your spread sheet. To Plot the data after the import, select the two columns, time and temperature (by holding the ctrl key) then go to insert tab and click on insert chart. you should see the chart pop up like the image below. That’s it for this tutorial guys, I hope you learn something from it. As usual, feel free to share your questions and contributions via the comment section. The tutorial video for this tutorial is available on youtube here. Until Next time, Keep Making.